It seems truly fitting that Cunard has looked to its rich past, stretching back 176 years, as inspiration for transforming its flagship ocean liner Queen Mary 2 in a multi-million pound overhaul. The heritage and traditional touches that shaped this iconic line have been embraced and enhanced as part of a £90m “remastering” that saw Queen Mary 2 emerge from a 25-day dry dock with a string of new features and upgraded surroundings. Stylish Art Deco detail, reflected in the soft furnishings and carpets that run through the ship, and liberal use of marble, brass and bronze take their nod from the original Queen Mary, while the new Carinthia Lounge plays homage to four former Cunard ships of this name. This lounge replaces the Winter Garden, not previously a place where passengers felt like lingering, transforming it into a comfortable area to relax with powder blue, cream and gold chairs and sofas giving it a stylish ambience. 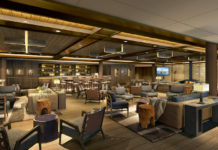 A new bar area provides light bites and healthy snacks (all complimentary), while those passengers who like the finer things in life can peruse the “Port Wall” cabinet containing about 200 bottles of 43 different vintages. The oldest dates from 1840, and is also the most expensive at a cool $4,450 a bottle. The nearby Kings Court is a revelation for anyone who recalls the previous cramped and dated surroundings. Having been completely stripped back and rebuilt, this buffet dining area is fresh, light and spacious, and boasts a new line-up of dishes aimed at passengers wanting an alternative to the main Britannia Restaurant. Queen Mary 2’s speciality restaurant Todd English has been replaced by The Verandah, also found on sister ships Queen Elizabeth and Queen Victoria, serving contemporary southern French cuisine, while the Queens Grill and Princess Grill restaurants also sport a new look. 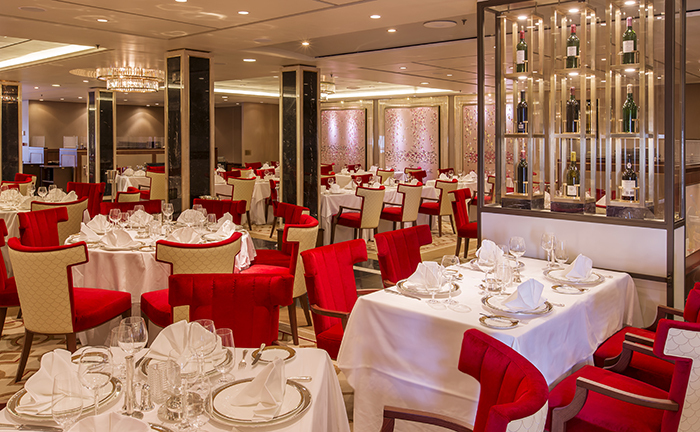 But it’s the accommodation that has seen bigger changes, with Queen Mary 2’s first single staterooms – some built in space formerly occupied by the casino, which has been virtually halved in size. But the gambler’s loss is the solo traveller’s gain, with 15 new well-appointed and spacious single staterooms, some with large portholes and lovely window seats underneath to allow occupants watch the waves float by. 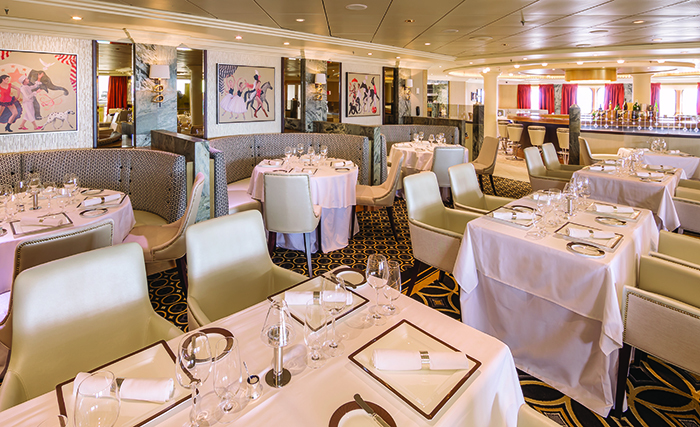 A block of 30 Britannia Club staterooms has been added to Queen Mary 2’s vast decks, increasing its range of classy accommodation, while existing staterooms and suites have also been given the brush-up treatment. Queen Mary 2’s four-legged passengers haven’t been forgotten either with new additional kennels and increased areas for owners to relax with their pets, including the enclosed deck area with an American-style fire hydrant from New York and a lamp-post donated by Cunard’s spiritual home city of Liverpool and dating from when its former HQ was built there a century ago. Such has been the scale of the liner’s bow to stern upgrade that virtually nowhere has been left untouched. From entering the main lobby, which has been opened up following the removal of two glass elevators, passengers will find remodelled shops with new names (Michael Kors, Barbour and Cartier), plus tempting chocolate fondues and other sweet treats in Sir Samuel’s coffee shop thanks to its tie-up with chocolatier Godiva. The Royal Court Theatre now boasts a giant LED screen that cost a cool £4m, while on deck 12 the Pavilion pool area has been spruced up with new pool tiles and buffed teak decking. 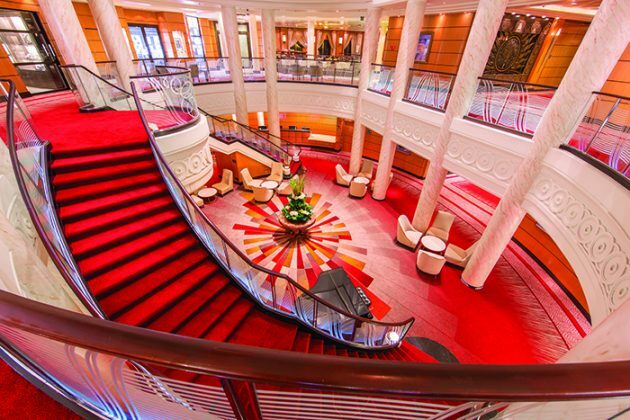 It’s easy to quote the statistics of QM2’s revamp; the million-plus man hours it took; the new carpet that could cover 10 football pitches; the 4,000 new pictures; and 15,000 litres of paint used on the hull. But it doesn’t reflect the sense of history and classic style that still pervades QM2’s grand walkways and gracious public spaces. This grand lady may have had a facelift, but underneath it all her essence hasn’t changed. GETTING THERE: Fares at £1,499pp, departing Southampton on 19 November 2016 and arriving in New York on 26 November 2016. 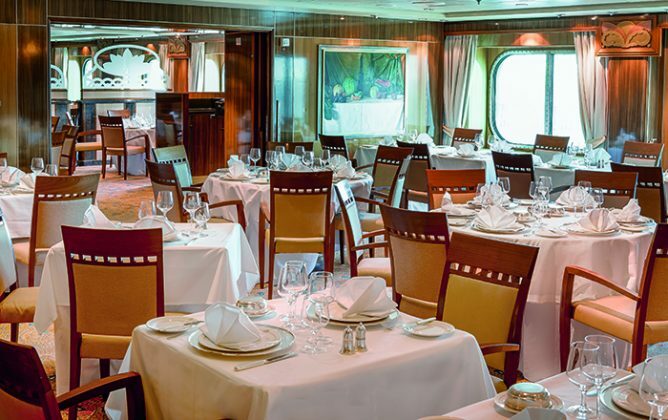 Based on two sharing, including all meals and entertainment, economy class return flight, transfers between ship and airport on the day of disembarkation, and on board spending money of $50pp. Call 0843 74 0000 or visit cunard.co.uk. 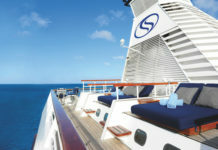 If you’ve been inspired to take a cruise, use our Cruise Finder to find your perfect voyage.